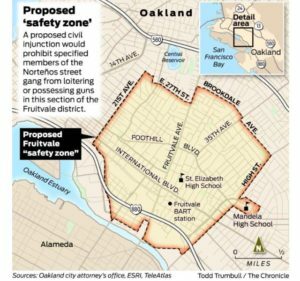 The recently intensified ICE presence and threat of attack reminds me of the City of Oakland’s Fruitvale Gang Injunction, the last time I saw the community so vulnerable in a collective way. It was 2012 when the implementation of the gang injunction began. Yet as we know through history, with each incident of violence and threat on safety, come fights of resilience and resistant action. The Oakland’s historical legacy of organizing runs deep. 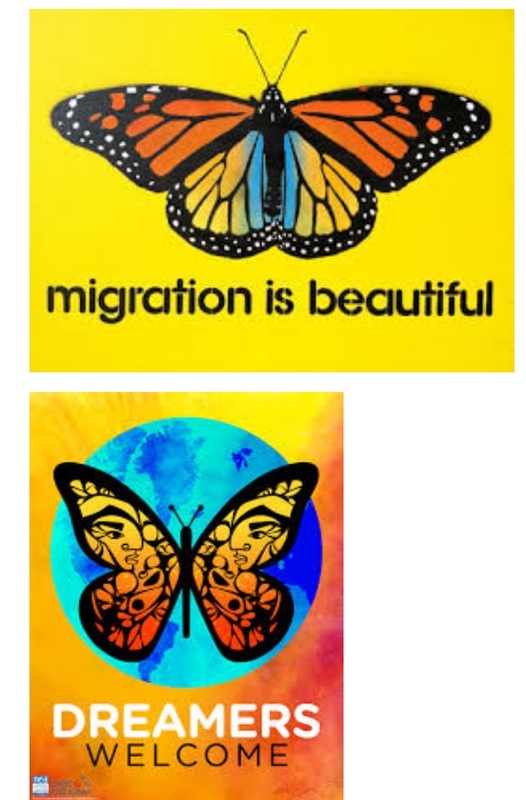 Communities organize through art, cultural and political strategies. This was seen during the implementation of the Fruitvale Gang Injunction as well as now with the heightened ICE presence. I was working with the Homie’s Empowerment Program at the YMCA off of High street behind the old Mi Pueblo when the Fruitvale Gang Injunction began. The Homie’s Empowerment Program, Una Familia, was and is exactly that – a family that sat down and broke bread together every Wednesday evening. Young people would come from Fremont and Castlemont High Schools and learn new remixed recipes of healthy whole foods, serve them to their peers while kicking back and learning from guest speakers sharing their life, sharing their stories. The Jornaleros Breakfast Program grew out of Homies at that time. A group of students organized to bring coffee and pan dulce to the hard -working Jornaleros as they waited for jobs early in the morning. We took the students to hikes up in the Redwoods by Skyline Blvd. in the Oakland hills. It was a vibrant program with young people eager to learn and grow. It was around this time that the City of Oakland announced the proposal of the Fruitvale Gang Injunction. The Fruitvale Gang Injunction was a lawsuit order by the City of Oakland against 40 men who the police said were gang members. In addition, the injunction identified an area of Oakland it called “The Safety Zone,” making restrictions on how people moved through this area and gave police more power to profile, stop, harass and arrest in this area. The delineation of the “Saftey Zone” was from 21st Avenue to High Street and from Brookdale to below East 14th. The Homies Empowerment Program was in the Saftey Zone; the young people we worked with were being targeted. Restrictions included rules that no more than three young people could congregate at a time, no young folks could be out after “curfew” at sunset, certain colors couldn’t be worn. 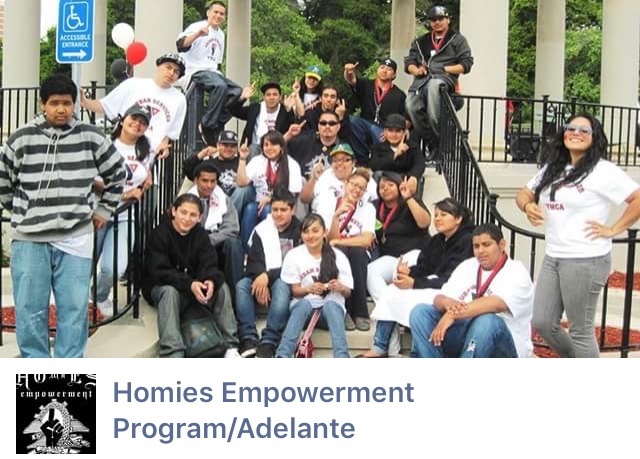 As a result, all the young people who were part of The Homies Empowerment Program became targets of police harassment and violence. 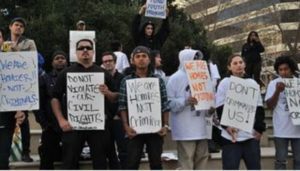 Oakland, no stranger to organizing for justice by any means necessary, kicked into action and STIC (The Stop the Injunctions Coalition) was born. 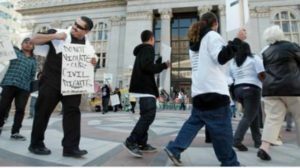 STIC used a three- part strategy – grassroots organizing, media messaging and legal support. The organizing was grounded in an anti-policing framework and a focus on lifting up the voices of those most greatly affected by the injunction: those named, their families, neighbors and friends. We brought the young people to East Side Arts Alliance where the community STIC meetings would take place. We invited Critical Resistance to come to the Y to train young people on organizing strategies and I supported the coalition by interviewing family members of the young men named in the injunction. We went to city council meetings week after week, packing city hall with young people fighting for real safety and the right for their bodies to move freely through the city. This struggle and fight brought Black and Brown communities together in the unifying struggle to abolish the prison industrial complex. It was beautiful. We marched from High Street to the Lake where we went to the Alameda County courtroom where the young people named in the injunction were arraigned. The fight continued and finally three years later, on March 5, 2015 the city attorney dropped the injunction from the books. In this year’s intensified ICE policing in Oakland, we’ve seen another increased attack on Brown bodies. Young people go to and from school in fear that they may not see their parents when they return home. Again the Fruitvale, home to generations of Latino families, is under attack and Brown skin makes you a prime target. Even with Oakland being a “Sanctuary City” stating that it will protect its immigrant population from federal attack, the lines get blurred when we know the historic relationship between law enforcement and Black and Brown communities. Oakland continues to fight for justice in the face of attack. In high schools across Oakland, information bulletin boards were put up with information about what to do if stopped by an ICE Agent, resources to access lawyers, a know -your- rights list. Community organizers created a hotline for folks to call if they see an ICE agent or if someone they know has recently been arrested. 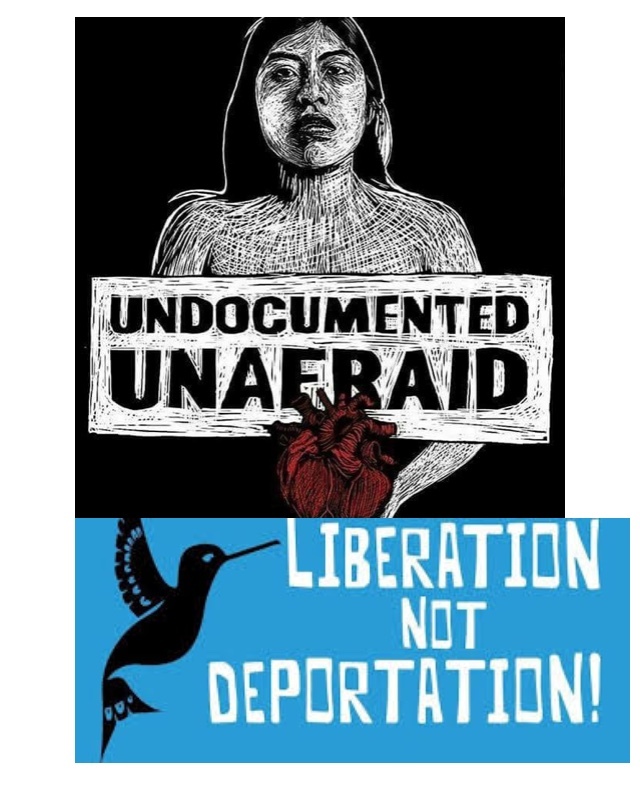 Organizations like Oakland Sin Fronteiras continue to fight against policing in Black and Brown communities, deportations and for workers’ rights through political education, art and direct action. Attacks on Brown bodies in the state of California are nothing new. In fact they exist in the legacy of the creation of the state by the United States when it took the the state from Mexico and in the broken Treaty of Guadalupe Hidalgo. Segregated schools and parks for Mexican children became the basis for major court cases in California’s history. The fight for Black and Brown bodies to move freely has been and continues to be a struggle, but Oakland will remain active in the fight for justice.